We went straight to the metro and headed to Colonia Del Valle, a suburb of Mexico City where my #1 man was born and raised until the age of 12 before his family packed up and headed to Cancun. It was delightful seeing Fer's excitement while taking me through his old stomping grounds; to every school he attended, the apartment where he lived, to say hi to the lady at the corner shop who was still there and remembered him, and even to the famous Iglesia del Purísimo Corazón de María (Parish of the Most Pure Heart of Mary Church) where several scenes were filmed for the movie Romeo & Juliet. After cruising around Coyoacán a little more and eating at the mercado we headed back to the hotel. Friday night we had dinner and met up with some friends in the Zona Rosa. This area is a neighborhood with a section where you can walk, shop, go to nightclubs, and eat. The Zona Rosa is a popular area for the gay community, and most recently a large Korean community. On Saturday we woke up early and headed to the centro historico where the infamous Zocalo is located. There we met our friends Norma, David, and baby Summer for the double decker bus tour around town so we could see everything in one shot. We briefly visited the Zocalo and the Cathedral before getting on the bus. The churches in Mexico City are spectacular, I could admire their insides all day. -People don't drink ojo rojos in Mexico City. -Riding the metro causes anxiety, but is actually really fun. -The pastor meat is different than in Cancun. -Street food is WAY cheaper than in Cancun. -Babies are baptized in groups at the Cathedral. -Wearing flip flops is a No-No. 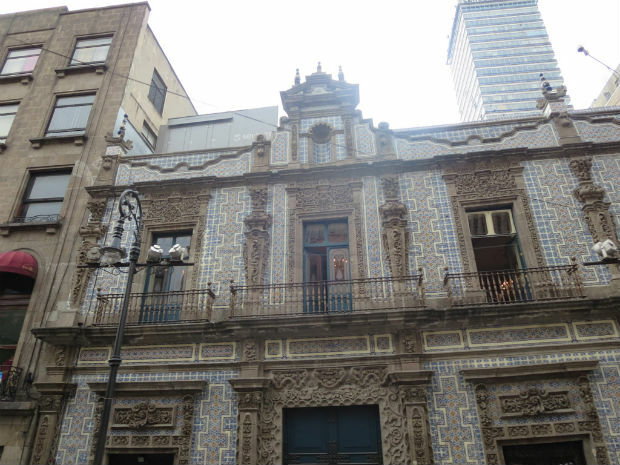 -Exploring for two full days only scratches the surface of what Mexico City has to offer. I also only shared a handful of photos because I took so many and you would all just be staring at pictures forever if I put them all up. This covers our first two days in Mexico City. My next post will cover the last two days of the trip which included pyramids, more food, and lots of walking. Stay tuned!